Don't ask for it, Demand it! Demand Safety’s main office and warehouse facility is located in Albuquerque, NM. We have additional offices in Houston, Dallas, Midland/Odessa TX, and Hobbs, NM. We offer Personal Protection Equipment with a twist. We logo safety glasses (48 minimum), reflective class 2 and 3 vests (12 minimum), and hardhats (20 minimum) without set-up charges. Rain suits and gloves are also available for personalization with larger minimums. Specializing in single color logo imprints, orders can often be turned around in less than 48 hrs. Most printed orders ship within 5 working days of receipt of order and approved artwork. All orders are quality checked before leaving our facility. Your satisfaction is our number one priority! Our Products include quality name brands such as MSA, Radians, Cordova Industrial Safety Products, MCR Safety, Cementex, Accuform, Rayovac and others. These manufacturers are industry leaders well known and respected by contractors and companies alike. 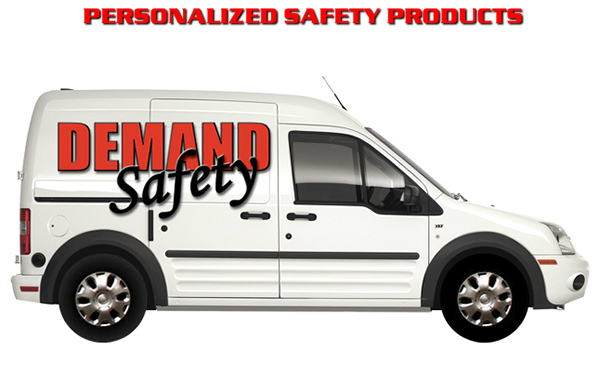 Demand Safety is a participating member in the SafetyNetwork.me network. We are dedicated to all those who rely on the key players of the safety industry to help them get home safe, day in and day out.